Bill was a truly unique person whose challenges in life started at birth. He never let those challenges stop him from pursuing the things he loved in life. He was a fiercely independent man who loved nature and the outdoors. His family and friends were extremely important to him. He was a very kind man who believed in the goodness of everyone. 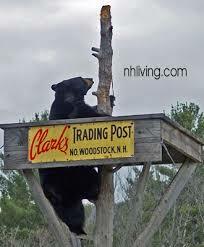 He found his true calling the day he was hired to become the Wolfman at Clarks Trading Post in Lincoln, NH. For fourteen years he rode his crazy car protecting his” Unatanium” mine as thousands of children screamed “Scram you old Goat”. 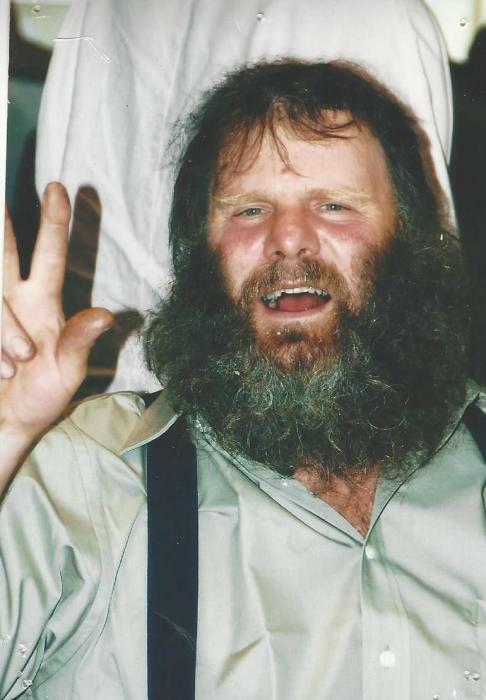 Many people have played the part of Wolfman at Clarks, but Bill lived the part! He loved children and loved to entertain them. His kindness touched many hearts. He will be remembered by generations of families who enjoyed his performances. To this day, many years after his retirement, families still take the time to write to him and pass on their good wishes. The Clark family became his adopted family and showered him with love and kindness. Bill’s family will be forever grateful to them for embracing him, protecting him and loving him for who he was. Cathy Cook of Lincoln Green became his second Mother and always looked out for him. He loved her and always looked forward to seeing her. As his lung disease progressed every breath became precious never knowing if there would be a next one he struggled to get through every day. Despite the challenges he was always kind, pleasant and cheerful to all. In his declining years he found great comfort in the Bible. His faith gave him the strength to move on and fight the disease until the end. He is survived by his brother Richard Farrand and his wife Patricia Farrand of Wilmington, NC, his brother Frederick Farrand and his wife Deborah Farrand of Westford, Ma, his brother Thomas Farrand and his wife Sheriley Farrand of Bradford, Ma., his brother David Farrand and his wife Lise Farrand of Hooksett, NH, his sister Elizabeth Reilly and her husband Thomas Reilly of Roanoke, Va. and his sister Judy Lavalliere of Bradenton, Fla. He is also survived by 14 nieces and nephews and 4 great nieces and nephews. Calling hours will be held Sunday April 8, 2018 at Fournier-Hale Funeral Home, 144 Main St., North Woodstock, NH from 2-5, with a memorial service at 5:00.